The trade that brought Jay Cutler to the Bears brought a small measure of quarterback stability to the Windy City. Cutler has saved Bears fans from the grisly prospect of walking into a Super Bowl with Rex Grossman at the helm, but he has been far from the pillar of consistency they expected. The problem is not that Cutler is unpredictable from season to season, it’s that he’s inconsistent from one week to the next. At his best, he is nearly as good as any other quarterback in football. At his worst, he condemns his team to losses. That is a troubling proposition for an offense that lacks offensive firepower all positions but quarterback aside. Reliable check-down option and jack of all trades Matt Forte is out of the picture. 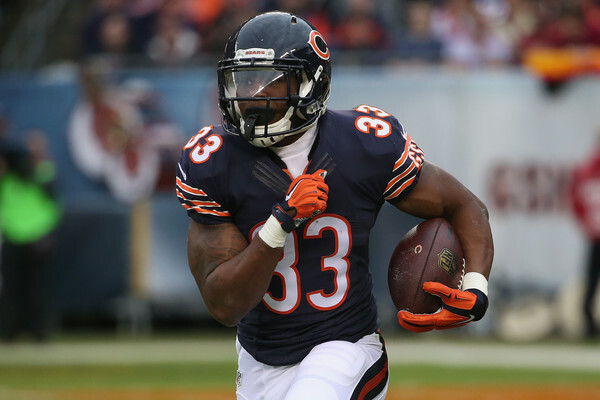 We here at HBT are relatively agnostic regarding the running back position, but even we would not be so bold as to suggest the step from Forte to Jeremy Langford will be negligible. Those remaining in the Bears’ backfield are neither especially powerful nor elusive and none pose a legitimate threat on passing downs. In lieu of talent in the backfield, wide receiver Alshon Jeffrey will play a large role in the effectiveness of the Bears’ offense. Jeffrey spent time on the bench with various injuries, but make no mistake, he is one of the NFL’s premier wide receivers when he’s healthy. Any of the Bears’ other receiving options emerging as a legitimate threat gives them a legitimate shot at being a formidable passing offense. Unfortunately, Chicago will likely be confined to a short passing game this year as Cutler will throw behind one of the NFL’s worst offensive lines. Kyle Long could be one of the best Guards in the game. In the absence of better options, the Bears have decided to make him a Tackle for this season. The rest of the line looks as bleak as it could. Chicago will struggle this season against teams with any semblance of an interior pass rush. Here’s where the Bears get interesting. The Bears did well to recognize a rebuilding project (6-10 in 2015) and build from the trenches out. Everyone knows that the draft is the method to build sustainable success. On paper, the Bears have broken that system to improve their defensive front for 2016. Say hello to Akiem Hicks, Jonathan Bullard, Jerrell Freeman, Danny Trevathan, and Leonard Floyd. 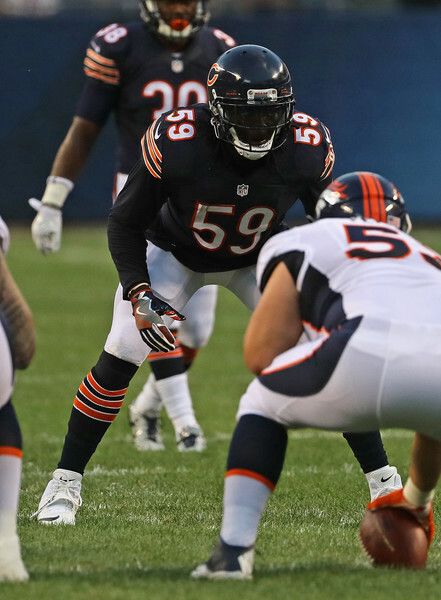 Though those free agents and draft picks, neither individually nor together, solve Chicago’s problems in the pass rush, they figure to make this one of the League’s better run-stopping forces. And they’ll need to be to protect for a secondary that’s as bad as any the NFL has to offer. Kyle Fuller is a promising cornerback, Adrian Amos a promising safety. But like any young defensive backs, both of them figure to face a learning curve this season while they hold water for an otherwise talent-less secondary. Chicago’s defense strikes one as an island of misfit toys. An NFL defense in 2016 can either struggle in pass protection OR in pass rush, never both. Chicago figures to struggle in both departments. Jay Cutler manages to play as the best version of himself for an entire season. The run defense is enough to keep opponents from keeping up with a passing-based offense and the Bears charge to a wild card spot. Jay Cutler succumbs to offensive-line-can’t-block disease. The run stopping-based defense is on the field too much to be effective and the Bears are bad on both sides of the ball again. Jay Cutler will have too many good games to let this team languish hopelessly. Smart fans should take heart in the rebuilding effort, which seems (smartly) focused from the trenches outward. But, the Bears have the misfortune of a strong division and relatively talent-poor roster.